Not content with simply selling cassette tapes and vinyl records alongside $100 sweaters with holes in them, faux-bohemian retail chain Urban Outfitters is apparently planning to corner the market on all the things that hip youngsters like to get pseudo-ironically tattooed on themselves. 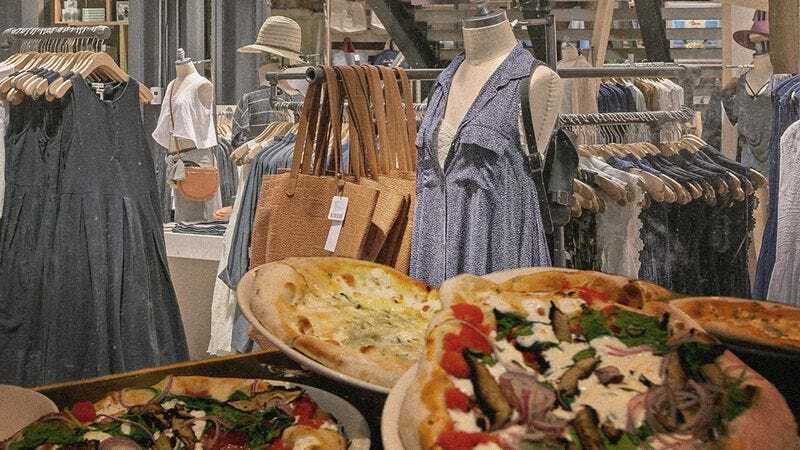 In other words, Urban Outfitters is getting into the pizza business. Investors aren’t so sure, however, and UO stocks reportedly went down 8 percent after news of the sale broke yesterday. Oh well—if the whole pizza thing doesn’t work out, it could always buy Shake Shack.